Please contact us directly to purchase any of the accessories you see listed here. Some accessories may be available through authorized retailers as well. You can use the store locator to find your nearest Esteban Carreras retailer. 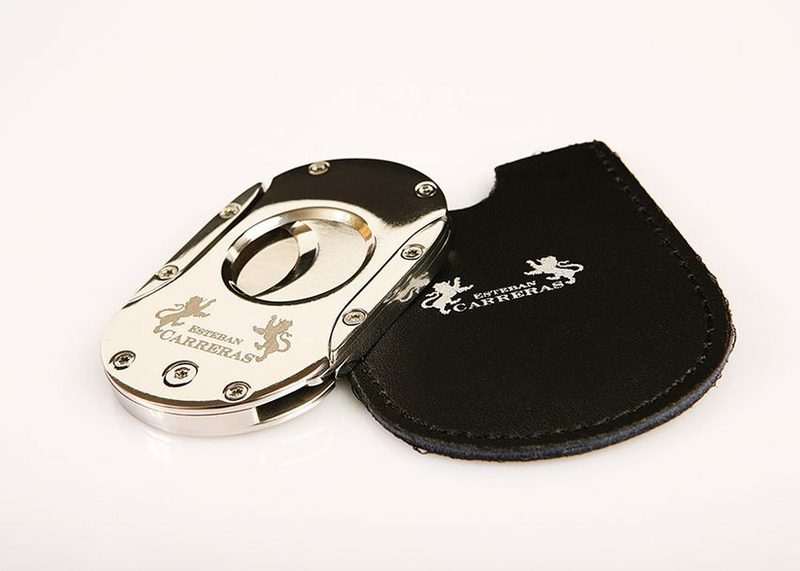 The official Esteban Carreras guillotine cigar cutter. Polished chrome, laser etched logo, and custom embroidered holster. Available as a promotional items at in-store events across the country. 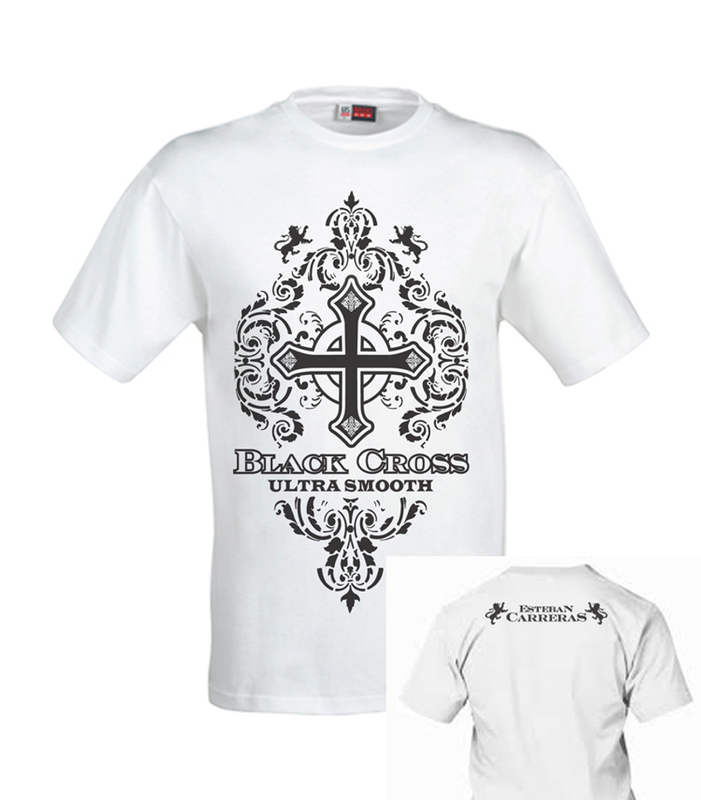 The Esteban Carreras Black Cross T Shirt. Screened on a comfortable 100% Cotton T Shirt that fits just right. Sizes: S, M, L, XL, and XXL. Available as a promotional items at in-store events across the country. 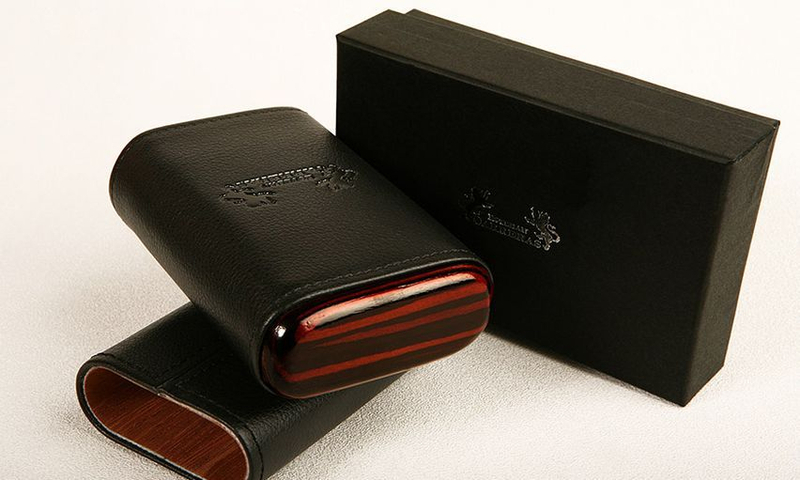 The Esteban Carreras 3-5 Cigar Case (Black). This ultra premium cigar case has a Spanish Cedar inner and a beautiful grained Black Leather exterior. Holds three to five cigars depending on the ring gauge. Available as a promotional items at in-store events across the country. 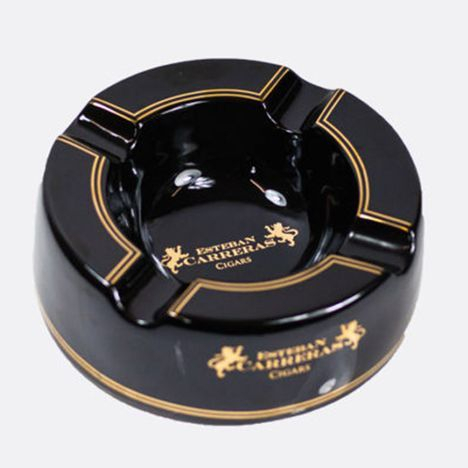 The Esteban Carreras ashtray is large, Black & Metallic Gold, super luscious ashtray. Four deep wells accommodate nearly every size and shape of cigar imaginable. Adorn your table with the best ashtray money can't buy. Available as a promotional items at in-store events across the country.